Actor John Hurt has passed away. 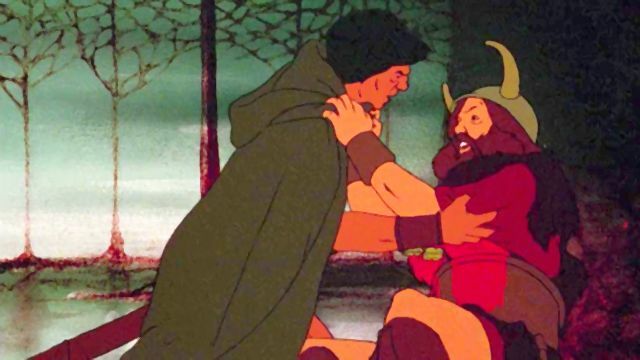 Not mentioned in the obituary linked above (and, I suspect, in most others) is Hurt's role as "Aragorn" in the 1978 animated film version of The Lord of the Rings. 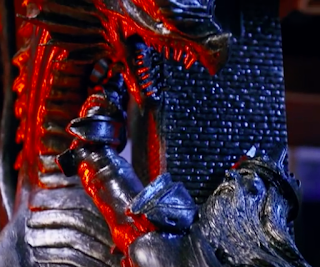 That was a film that, when I saw it as a wee lad at a repertory cinema in London (Ontario), awakened in me a lifelong love of fantasy. (I recognize now that that version has many flaws, but when I was a child it was simply magical.) Hurt's voice acting for Aragorn was perfect for the character. The film version of 1984 also had a profound impact on me. (I saw it before I read the original Orwell novel.) I couldn't get it out of my mind for weeks afterwards, and read the novel and Animal Farm shortly afterwards. Both books greatly shaped my life as well (though obviously in very different ways than the LotR movie). The Elephant Man, which I also saw as a teenager, had a similar affect on me. It moved me to tears and I thought about it for a longtime afterwards. I think it made me try to be a better person. Few films have that kind of power. Apparently there is a show called "Super-Fan Builds." 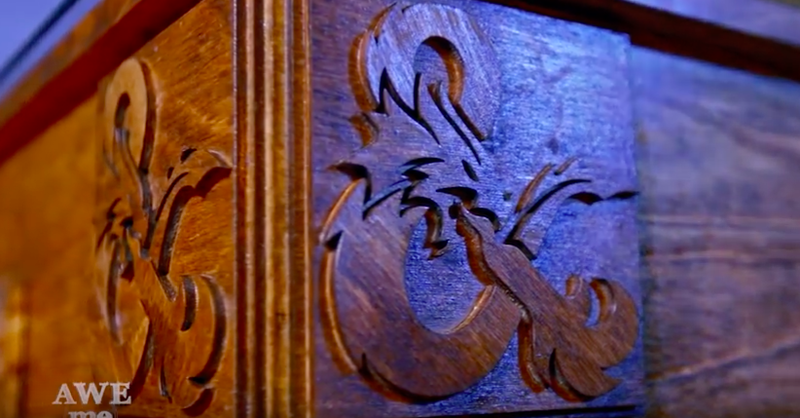 In this episode the lucky super-fan receives an amazing ('ultimate') Dungeons and Dragons gaming table. It's worth a watch. I'll think that you will find the super-fan featured in this episode to be quite entertaining. The reason why I know about this episode is that it features an old friend of mine, Robert, as the 'super-fan.' For a few years during our PhD program (2000-2002, if I recall correctly) we regularly gamed together. Rob is a hilarious person in general (he also was active in an improv comedy group at the time), and he brought that gift to our games as a player. The other players were great as well. That grad student group remains one of my all-time favourites. Sadly, we all live in different parts of the world now (Rob lives in Los Angeles), so we don't have too many opportunities to see each other in person these days. It's good to see that some of us are still engaged with the hobby -- Rob even more than myself, it would seem! An important story from The Beaverton: "1000 year old wizard reclaims word 'millennial'." 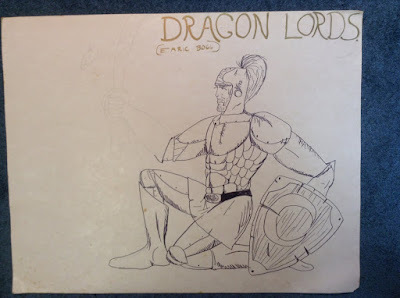 While the magic-user (later rebranded as the 'mage' or 'wizard') always has been my favourite Dungeons and Dragons (or AD&D) class to play, in my early years I also seemed to have been quite fond of the paladin. This now strikes me as a bit puzzling, as paladins now rank at the bottom of my list (behind even clerics!). I was reminded of my youthful fondness for lawfulness and goodness recently while at my parents' house for the holidays. There I uncovered some more pictures from my early teens (I posted another piece of youthful 'art' -- "Dragonslayers" -- a few months ago). And here is a character whom I remember using quite a bit in my early gaming days: "Emric Bogg." I'm not sure why I never finished this picture (which is on a big piece of bristol board). 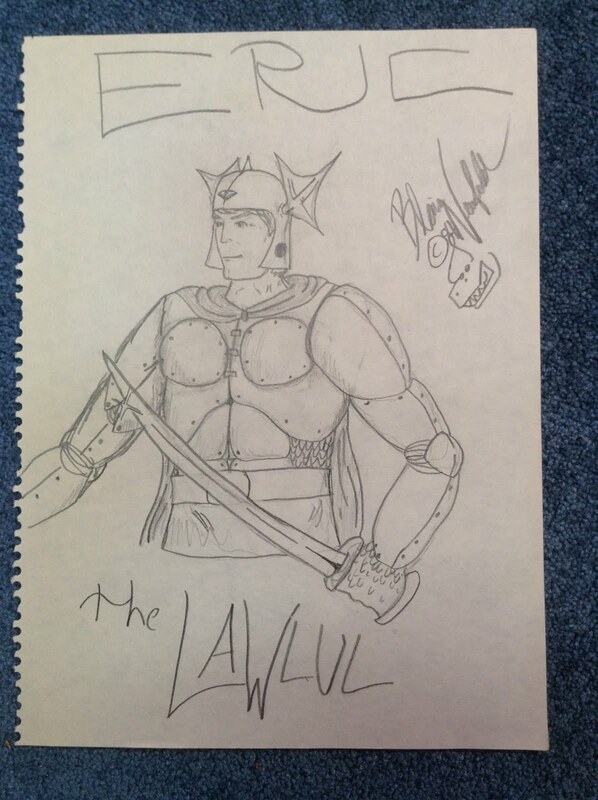 You can see the outline of his right arm and sword in pencil if you look closely. Why didn't I spent another 20 minutes to finish poor Emric in ink? Only my 13 year old self knows. I uncovered a few more pictures recently, and will post them here in the near future. 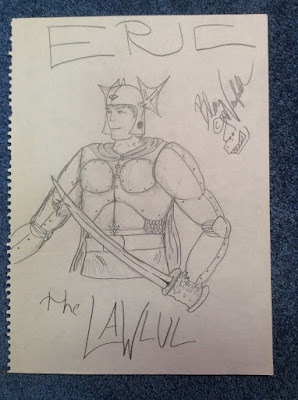 So if you like amateur teenage D&D art, stay tuned!